really to be able to rely on somebody, is one of life's luxuries. We expect absolute reliability from our products and ourselves at Oli. Since 1995 every day we work harder to ensure that you as the customer is being looked after in the best possible way. The bioclimatic pergola is a new sun protection system that will allow you to enjoy living outside the whole year. The pergola is designed to regulate the temperature inside, to protect oneself from the rain, the sun, the wind or the snow thanks to its sensor detectors. The Bioclimatic Pergola has a modern design, adapted to all kind of styles, being perfect for for private gardens, or hotel and restaurant terraces, where you could take a bigger benefit of your business. Without having to do works at home, and with an easy assembly system, you will benefit a larger livable space, in a clean and easy way. The bioclimatic pergola is made of a structure with aluminum motorized movable louvers. This system offers inclinations from 0º to 145º, allowing closing or ventilating the room as the user wishes. When open, the flat form louver of 270mm offers larger space sensation and brightness. 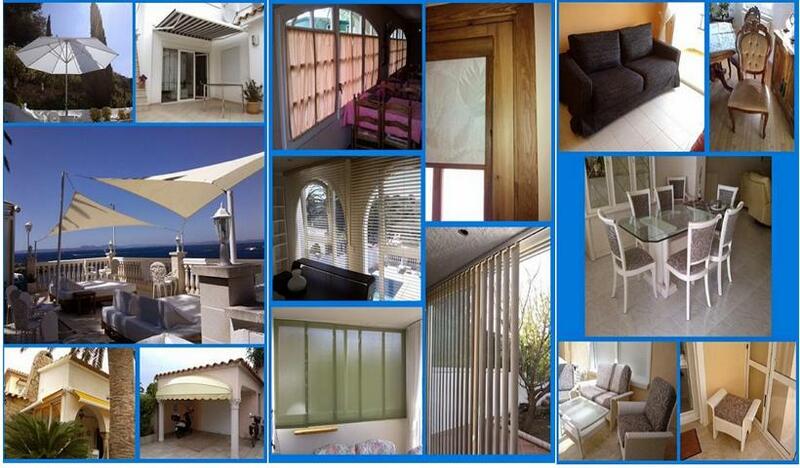 The sealing guaranties water tightness of the pérgola, creating a closed space and external to the outside climatology. "Indispensable for commercial outdoor activities", according to the jury for the 2019 German Design Award for the Bahama Umbrella, which annually honours unique design trends that are groundbreaking in the international design landscape. The globally recognised design prize is awarded by the German Design Council (Rat für Formgebung). The successful Jumbrella model receives the "Winner" award in the "Excellent Product Design" segment of the "Gardening and Outdoor Living" competition category. After the iF Design Award 2018 and the Red Dot Award 2018, the third jury of experts is now awarding the all weather umbrella, which is wind stable up to wind force 10, for its modern design and innovative functionality. The German Design Award 2019 will be presented on 8 February 2019 at the Ambiente trade fair in Frankfurt am Main. The most beautiful fabric between heaven and earth..